This classic racing leather jacket worn at Moto GP is made to perfection with attention to the smallest detail. 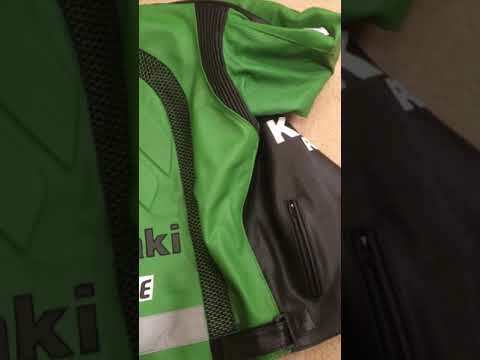 The Kawasaki Racing Leather Jacket boasts confidence, style and it will satisfy the most discriminating taste! Jacket was fantastic feels bulletproof still breaking it in can beat for the price. Always wanted a jacket like this and the owner helped me get right size he was an amazing individual thanks again. I am very satisfied with the product. the size is perfect.